Ceramage is a light-activated zirconium silicate micro ceramic that creates indirect restorations that exhibit virtually the same light transmission as natural teeth and has a remarkable translucency. Ceramage bonds to a variety of substructures, including non-precious and high noble alloys. 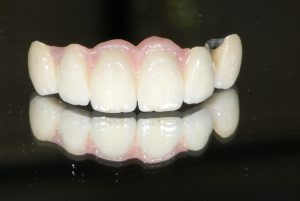 With an extensive shade selection for natural tooth and gum color reproduction, in addition to new bleach white shades, Ceramage can be used to create superior restorations, inlays and onlays. Ceramage’s full set of gum colors are also ideal for replicating gingival anatomy. Contact us if you want to learn more about ceramage prosthetics or check whether it’s the right material for your patient.